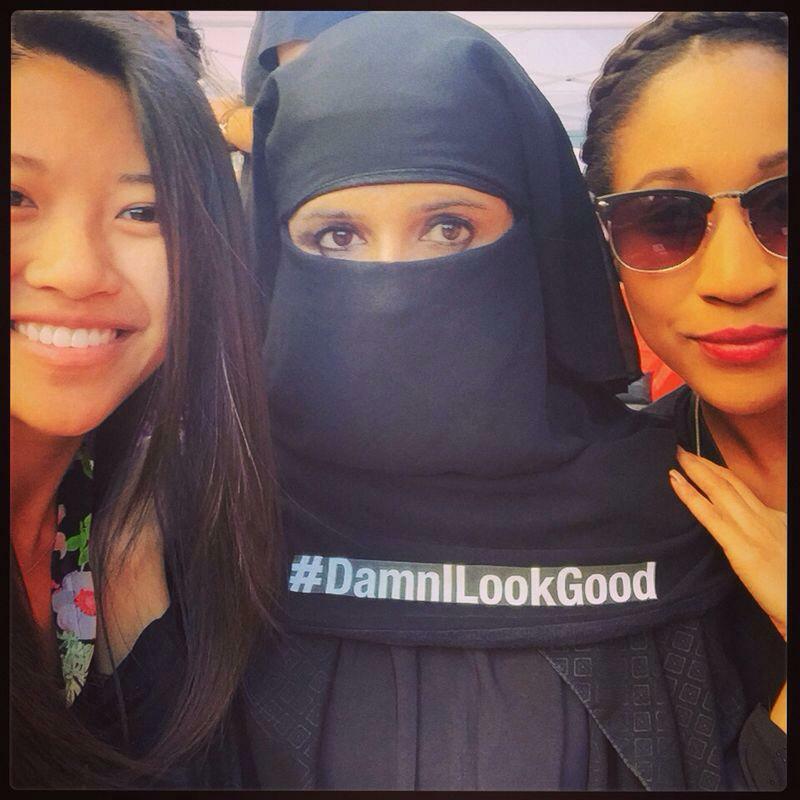 A performance art piece, in collaboration with Qinza Najm, where a woman wearing full hijab, takes selfies of herself with others and posts them online using the hashtag #DamnILookGood. 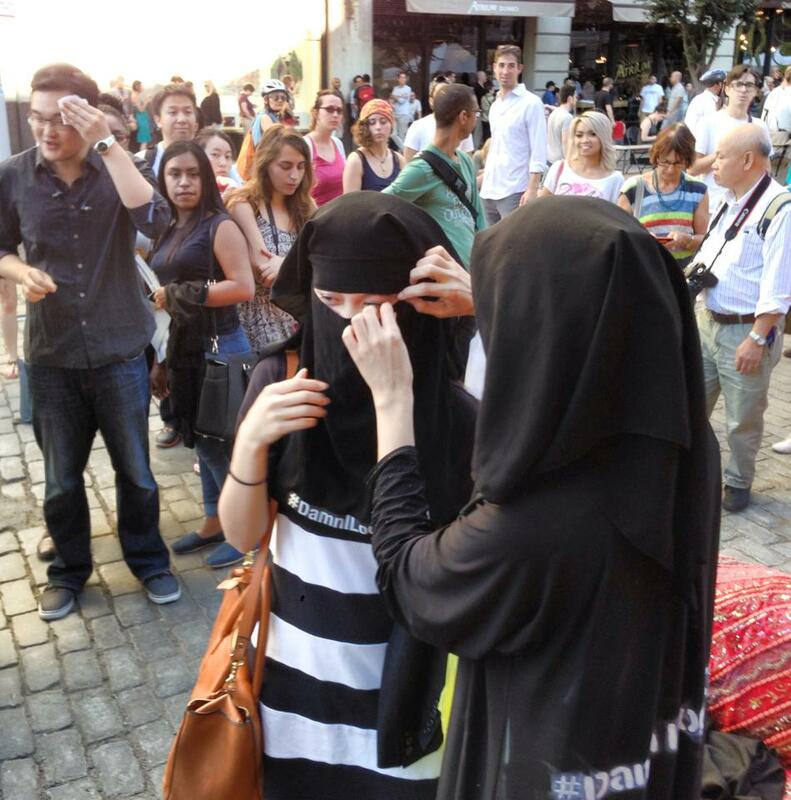 Occasionally some of the participants also try on the hijab as well. 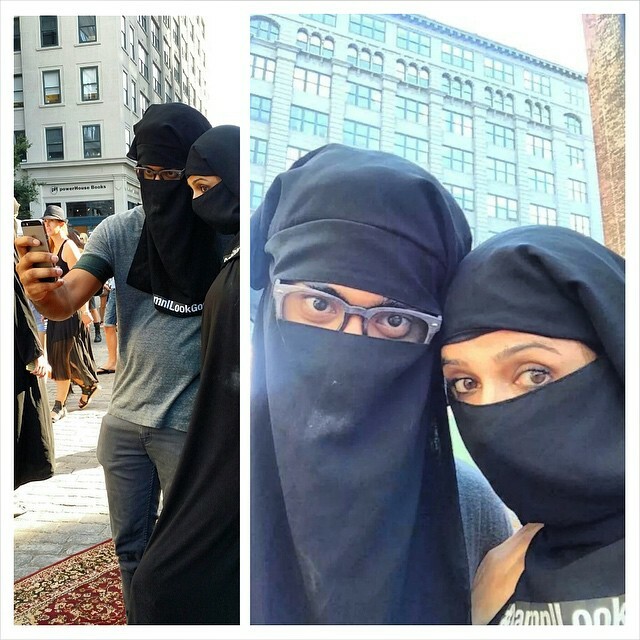 The hashtag is pasted on each hijab for the camera to capture. 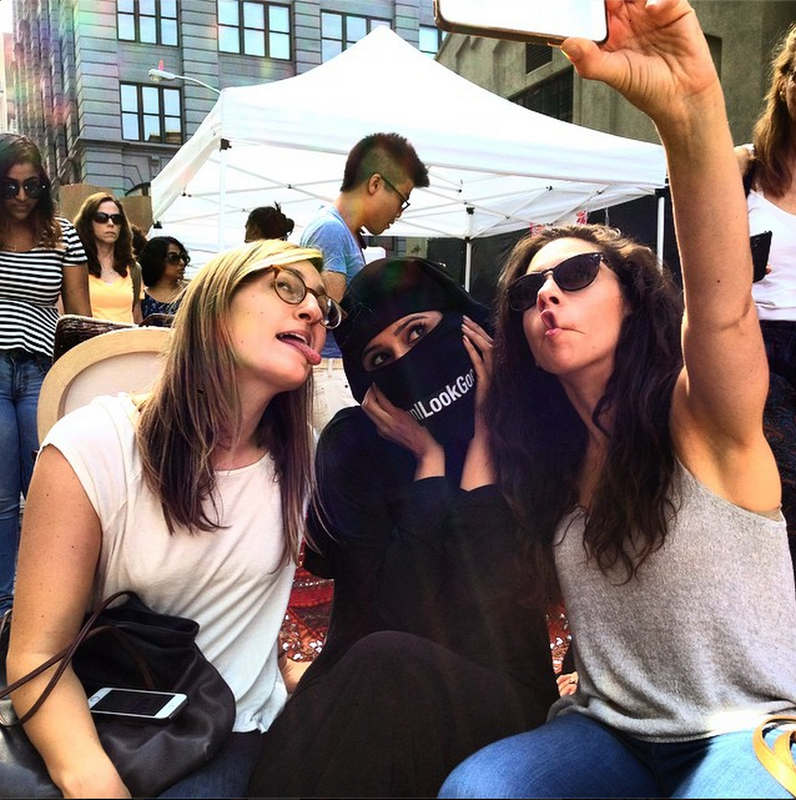 In essence, the piece is about tolerance, liberation and challenging perceptions of women who wear hijab by choice. Why selfies? 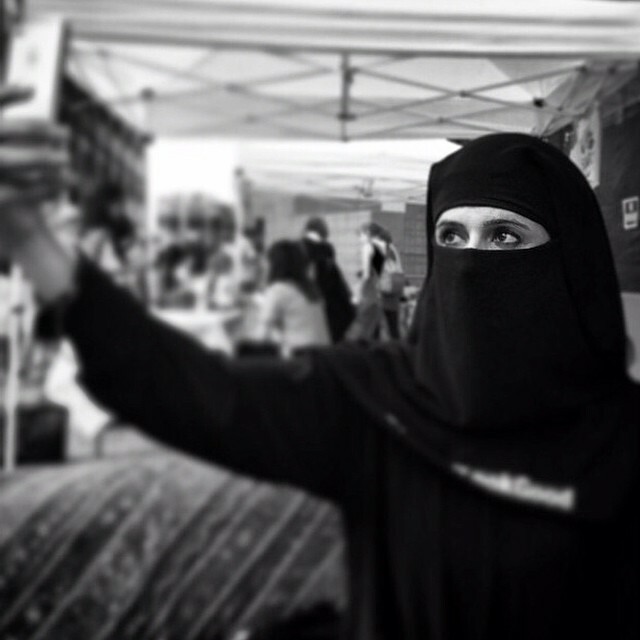 A selfie is more than just a pic. It’s the product of a moment when one is feeling beautiful and confident. At its core, it is therapeutic, cathartic and fabric-agnostic. 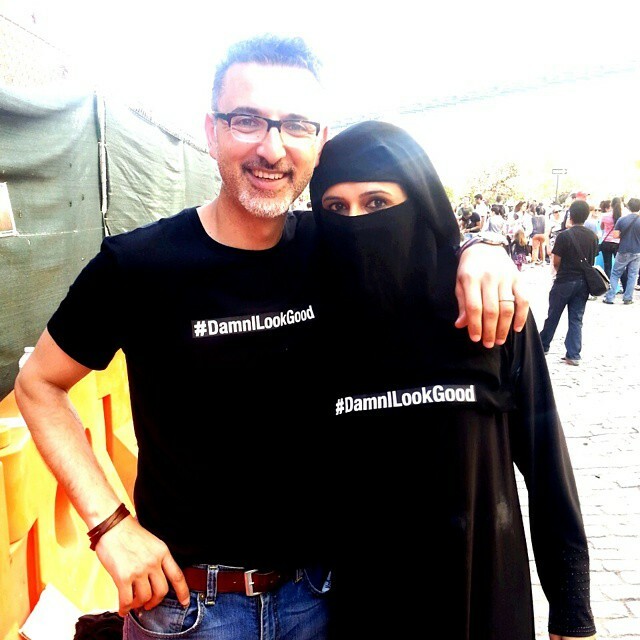 During this moment, a hijab, seemingly a barrier, becomes entirely invisible to her. 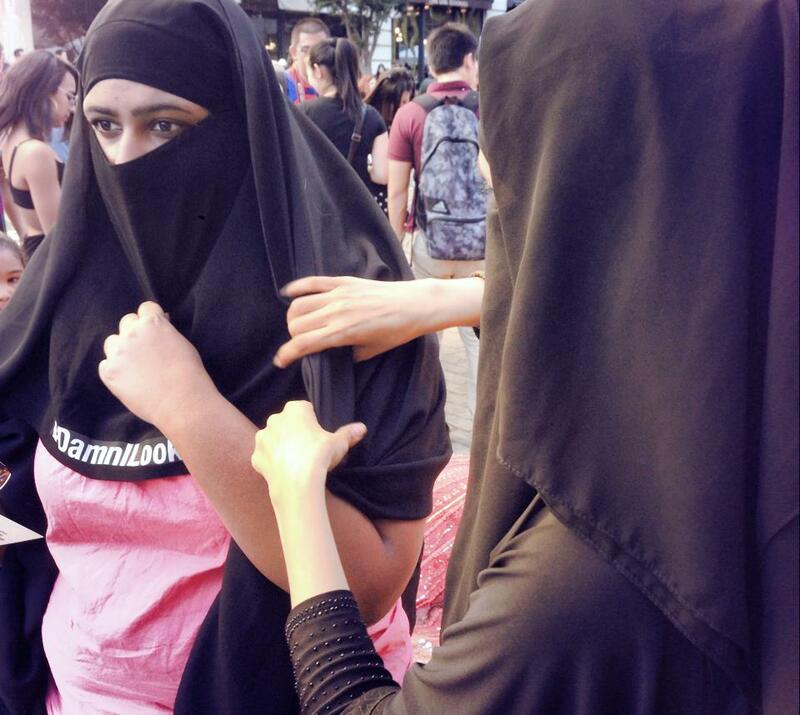 The hijab worn by choice is not repression, but liberation. It can be the most empowering piece of fabric a woman can choose to wear. 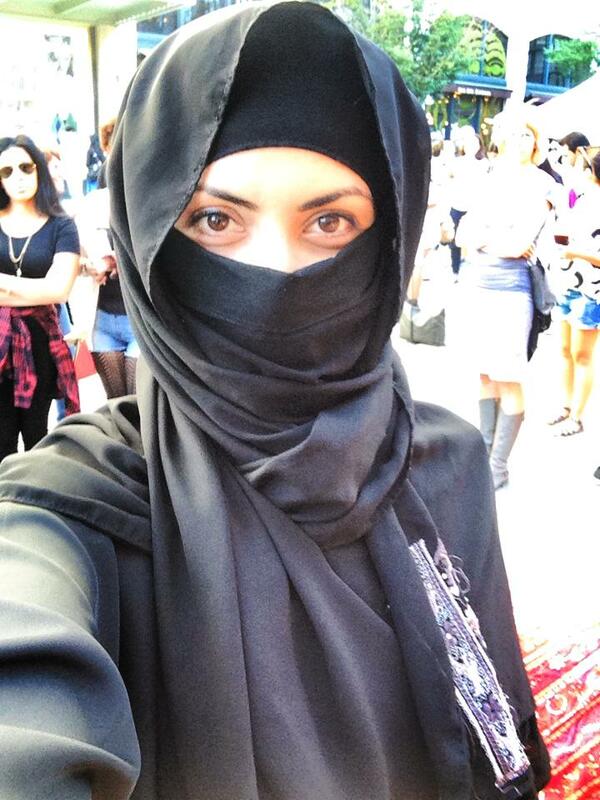 When a woman covers herself this way, she can’t be judged on attractiveness, her jewellery or makeup. She isn’t ‘sized up’ and can’t be advertised to. This very barrier is her superpower. With it, she is in complete control of her sexuality, and ultimately, that’s what makes her so beautiful. 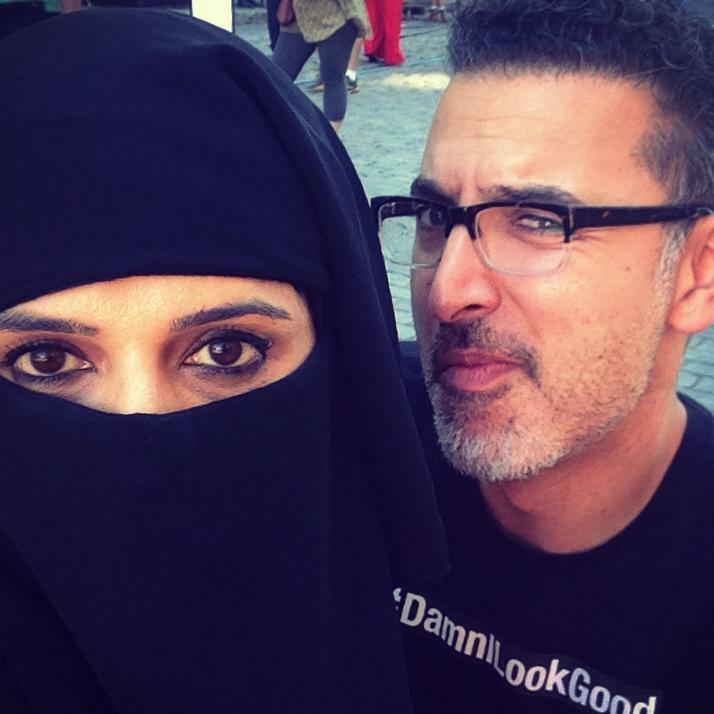 By snapping selfies, she makes a point that she is much more than her sexuality. This performance art piece is about tolerance over anything else. 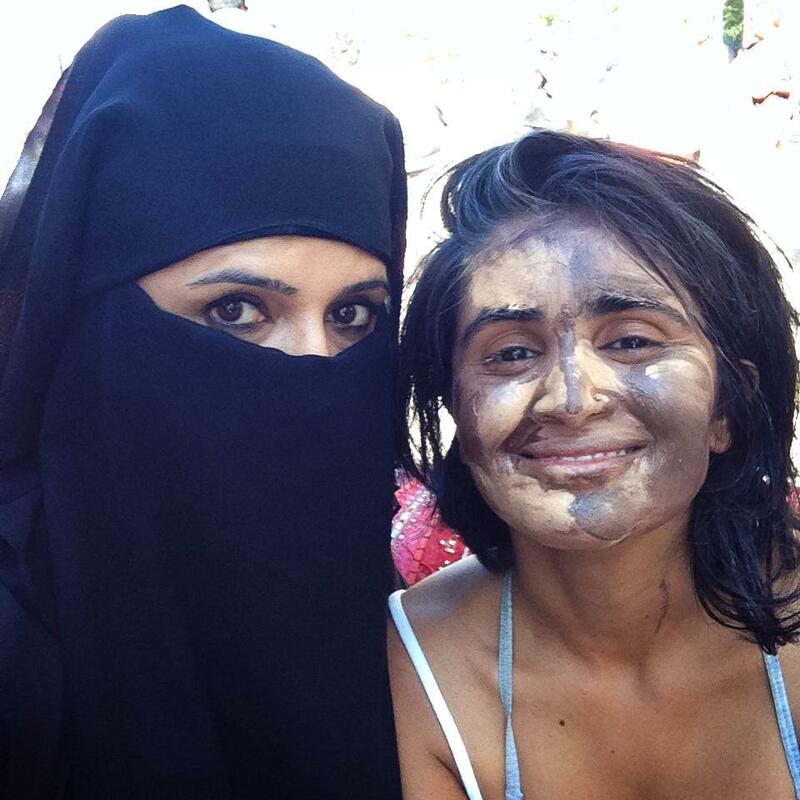 At the same time, it questions several issues: Islamophobia, over-sexualization of women in media, the duality of modernity and tradition and longing for self expression. 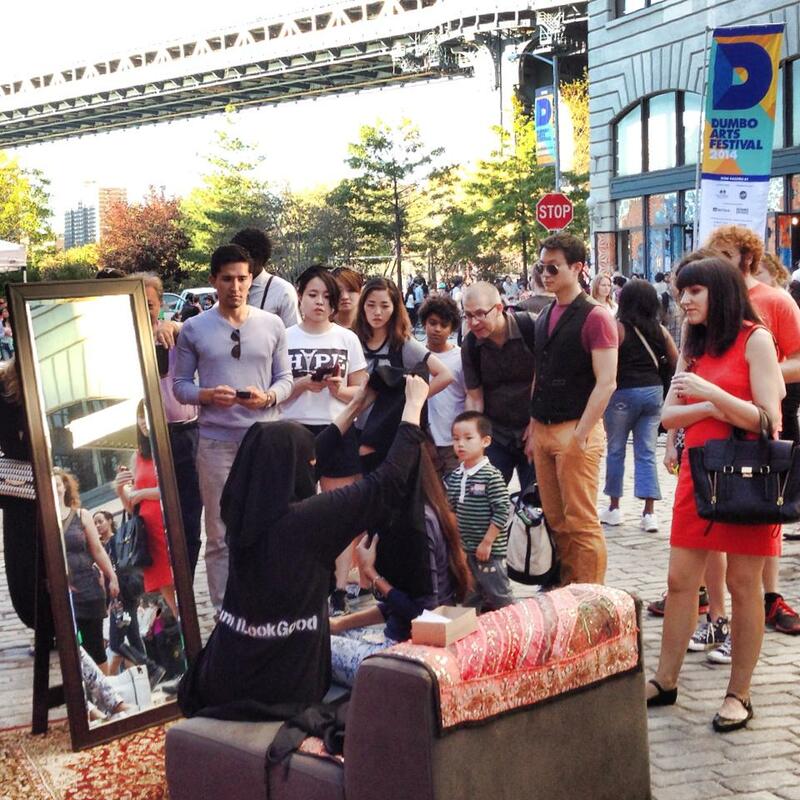 The Performance took place on September 27th and 28th at the DUMBO Art Festival in Brooklyn, New York.